Not all the objects and things stay dry all the time and extended outdoor usage can sometimes mean exposure to natural elements like water and humidity. People try to make their vehicles, jackets, carry bags or other similar outdoor usage items look better by pasting good looking stickers on them. 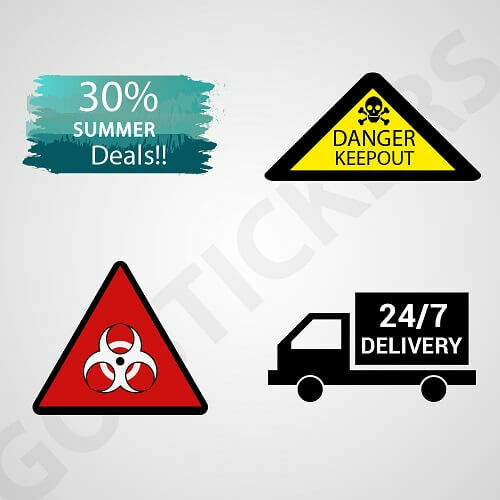 Go Stickers are experts in designing the most beautiful and natural looking durable Stickers that offer the most reliable waterproof and long lasting finish and will last you the longest. We use highest quality materials while manufacturing our specialized Waterproof Stickers that come at cheapest wholesale prices while providing best material quality and adhesives durability as well. On bulk orders, we offer free printing and charge no extra costs for the printing plates or the cutting die equipment to provide the most profit enhancing stickers. Waterproof Stickers are manufactured using highest quality composite materials that don’t allow water to leak in at all no matter how hard it is sprayed on them or how long they remain submerged in it. These highly personalized weatherproof stickers from Go Stickers come equipped with the most reliable and durable adhesive under-layers that allow them to stick on any required surfaces for as long as required. Our highest quality Stickers along with best waterproof nature also come in numerous size and shape options that are perfect for any specific types of objects they are required to be pasted on. Go Stickers over decades of service have developed the most reliable combination of high-tech equipment, skilled people and adequate experience that allows us to offer outstanding quality Waterproof Stickers that come in numerous color, size, nature, design and dimension options in order to fit the exact surfaces or objects they are applied on. Our attractive Waterproof Stickers offer the highest-level water resistant features that simply are the best in the industry and our dependable adhesive layers offer flattest and longest lasting stick for all our products. 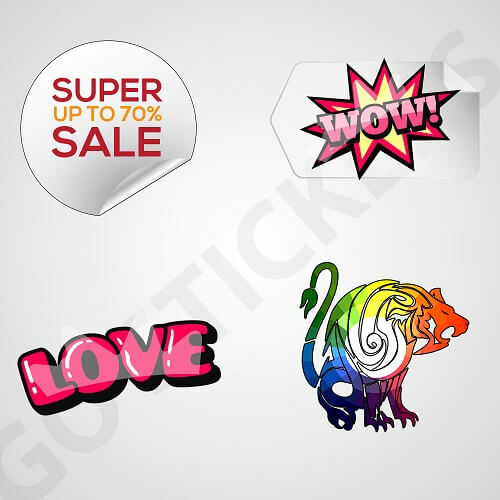 The well developed and most reliable sourcing and manufacturing channels that Go Stickers have, help us offer our clients the best Wholesale Waterproof Stickers in the industry. Our vinyl stickers offer highest material, design and long lasting features regardless of the quantity of your wholesale order with us. We cut the unwanted costs by efficient processes and not at all by lowering the material quality for our outstanding Custom Waterproof Stickers. Go Stickers proudly have the most skilled sticker designers in the industry at our facilities who are provided the opportunity to work on the most high-tech and advanced technological equipment that helps them design the most unique and special designs for highly personalized Stickers along with giving them the most reliable waterproof finish whilst keeping the material quality of the highest standards. No matter how design conscious you are or how high you set your design standards, we will tend to them in the most efficient way possible. Additionally, we have state-of-the-art 3D printing equipment that can print Custom Waterproof Stickers in the widest color ranges accurately using top quality inks. 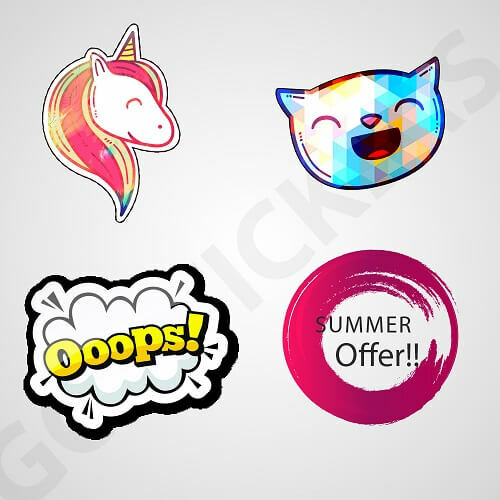 Go Stickers offer the highest quality personalized Stickers with waterproof abilities that come specifically for different types of objects. 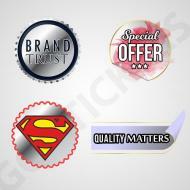 We design special stickers for different kinds of objects that are always in different sizes and shapes. 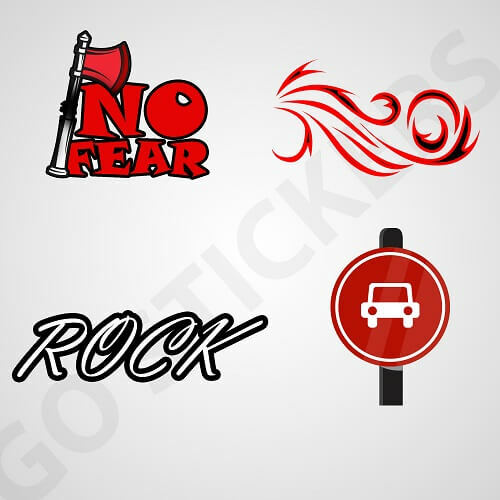 Whether you are looking for Custom Waterproof Stickers for you vehicles, jackets, bags or any other outdoor usage objects and things, Go Stickers will provide most appropriate solutions regardless of their sizes or shapes. 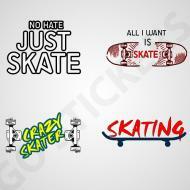 Go Stickers aim our bulk products are businesses or retailers who re-sell our products to their own customers. Our Custom Water Proof Stickers come at cheapest bulk prices along with materials of the highest quality that will stick to your surfaces most efficiently for longest periods of time. Additionally, on bulk orders, we offer free printing along with free delivery right to your doorstep and pay for the printing plates or cutting die equipment by ourselves as well. Our aim is to help our clients grow their businesses and grow ours gradually alongside theirs.